2016 FHA 203k Loan Requirements as all other loans have minimum credit scores and debt to income ratios that they need to abide by to get approved. If you don’t know, an FHA 203k loan is where a home buyer can purchase a property or foreclosure that might need some work done to the home. When a lot of lenders are getting away from rehab loans, FHA is still there to offer assistance if you meet the requirements. First of all, 2013 FHA 203k Loan Requirements say that the borrower must have at least a 580 FICO credit score just as if he was getting approved for a standard FHA Loan. And just like the FHA Loan there is a minimum down payment required of 3.5% however, there are a lot of lenders out there who view these loans as higher risk so they have lender overlays which makes the minimum FICO and down payment to be higher in order to get the loan approved. 2016 FHA 203k Loan Requirements also have a debt to income ratio ceiling at 56.9% backend with a credit score of at least 620. Backend ratio refers to the ratio of all monthly debt against your gross monthly income. If your FICO credit score is under 620, you are going to be forced to have a backend ratio of 43% which is significantly less for having a lower FICO score. Even though the max debt to income backend ratio is 56.9% you might still see lenders use lender overlays to ensure the backend ratio is under 50% or even 45% since lenders don’t want to take on the risk. There are two different types of 203k Rehab Loans available to be had under 2016 FHA 203k Loan Requirements. The first loan is a FHA 203k Rehab Streamline Loan which is an acquisition and construction loan with a maximum construction budget capped at $35,000. These loans are for homeowners in need of doing some rehab work to their current home. With this loan, the client’s existing loan will be paid off and refinanced to this loan with $35,000 held in escrow in order for the homeowner to do the proper repairs. There aren’t many limitations to what you can use the $35,000 for, but only the fact that you can’t do any structural work with the $35,000 such has room additions and foundation work. You can do anything else like basement remodel, bathroom remodel, new windows, new siding, new appliances, new flooring, etc. The other loan under the 2016 FHA 203k Loan Requirements is a standard FHA 203K Loan. Unlike the streamline loan there aren’t many restrictions at all and anything goes. You can use construction funds to do structural and cosmetic work all the same. 2017 FHA Mixed Use 203K: What Exactly Is This? If you are interested in rehabbing a home in order to create your dream home or if you are in the market to purchase a mixed use property that is both commercial space and residential space, then you need to read this article regarding the 2017 FHA Mixed Use 203K. Here at Loan Consultants we are experts in this area and can make this deal happen for our borrowers. 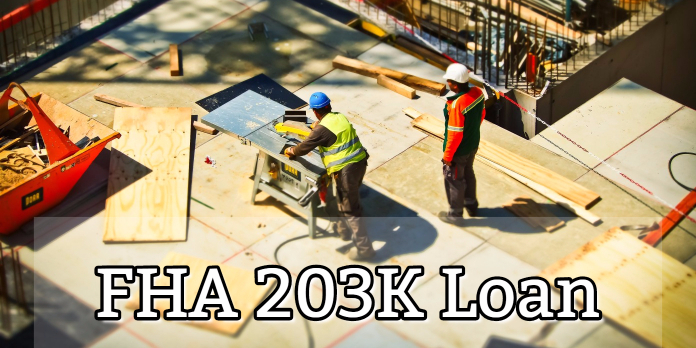 Before we go into the mixed use aspect of the FHA 203K, it is good to know the background of the standard residential FHA 203K to get a better understanding of how this loan works if you choose to go down this path. 2017 FHA Mixed Use 203K: How Is This Program Different? Hidden behind the Standard 203K and the Streamline 203K is the 2017 FHA Mixed Use 203K. This is a little known and little used loan program out there that can assist buyers who are looking to purchase and fix up a property that has both commercial and residential space with it. The one main requirement for this loan program is that the borrower must also be the one who occupies the residential space in the building. There aren’t any limits to the commercial space in the building and can be leased to a new business or an existing business from prior to when the building was sold. Another extremely important guideline in all of this is the ratio of residential space and commercial space within the building. According to the FHA Guidelines that can be found in the HUD 4000.1 Handbook, you will see that there must be at least 51% of the square footage used as residential space and no more than 49% of the space used for commercial space. There is also to a limit to the number of units these buildings can have and per FHA Guidelines the property is limited to having 4 units in total. For example, this would include commercial storefront on the first floor and up to 3 apartments above it. In most situations you are going to find buildings that are at least 2 stories in height where the commercial space will use the ground floor and the residential space will be upstairs. Now if you are questioning what would happen if you thought the building was split 50/50, there are very slight variables that can be used in order to shift the residential space to at least the 51% mark and it all could come down to a staircase. Now you’re probably wondering how a staircase can be the tie-breaker of square footage in this situation and the logic is quite simple. If you have a commercial space on the first floor, why would they have the need to use the residential space upstairs? There is no need for them to use this staircase so that minimal amount of square footage that is used is considered for the residential space and not the commercial square footage. This would tip the square footage into the residential’s favor and thus satisfy the 51/49 square footage split. As you can see for borrowers who either want to run their business in the same place that they live or have the idea to rent out the commercial space to offset their loan costs, this loan makes a great deal of sense. These properties are in high demand in larger metropolitan areas where mixed use property is very popular along busy city streets. The 2017 FHA Mixed Use 203K can assist you in becoming a landlord to a commercial business or allow you to get your residential and business loan all in one package. As a borrower you need to make sure there is a minimum investment in rehab work to be done with the residential part of the property. You can’t just use the 2017 FHA Mixed Use 203K to purchase a property and leave it at that. With the rehab funds that you can obtain, you are able to put in a new kitchen, new staircase, new walls, or any other work you can think of. When looking to qualify for a 2017 FHA Mixed Use 203K, the standard qualifications for these loans are at least a 620 FICO score in order to secure this loan with a 3.5% down payment. For borrowers that fall between 580-619, higher down payments may be required and will need to be evaluated on a case by case basis. Since 203K loans are seen as a riskier proposition, the debt-to-income ratios for these loans are normally capped between 45-50% and will not get near standard FHA Loans of 56.9%. As with any construction project there is a definite risk involved and FHA takes this into consideration accordingly. If you are looking for an FHA 203k mortgage lender who doesn’t have any overlays, then I am right for you here at www.loanconsultants.org. We can get you approved under the 2016 FHA 203k Loan Requirements and get you the house of your dreams, after you fix it up of course! Don’t hesitate and call today 888-900-1020!